Heathrow Country Estates is now called Red Tail. Heathrow Country Estates/ Red Tail offers Luxury Golf Course Homes For Sale. This upscale gated golf community is home to the Red Tail Golf Club. Here you will find Heathrow Country Estates Homes For Sale. 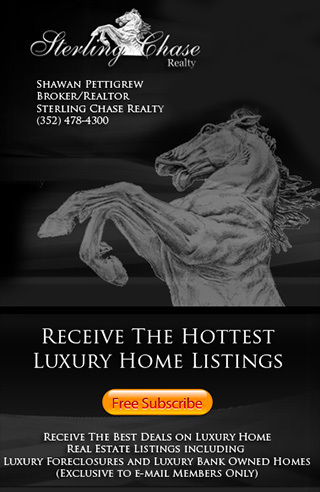 Search Heathrow Country Estates Real Estate Listings, Luxury Homes, Multi-Million Dollar Homes, Foreclosures, Bank Owned Homes, Golf Course Homes & more! Heathrow Country Estates is a Gated Luxury Golf Course Community located in Sorrento FL. Heathrow Country Estates offers Luxury, Custom, Waterfront and Golf Course Homes For Sale from $300,000 to over $2 million. Heathrow Country Estates – a secluded residential community often referred to among residents as Central Florida's best-kept secret. Heathrow Country Estates is set against the backdrop of Florida's unmistakable beauty. Heathrow Country Estates has incredibly lush landscaping and majestic hundred-year-old oaks viewed from a charming covered bridge create an extraordinary welcome home. Heathrow Country Estates in Sorrento, FL features distinctively designed homes that sit atop generous-sized lots. Heathrow Country Estates has number of homes ­developed by a select group of the area's first-class builders are available, in addition to a limited number of homesites within a variety of breathtaking settings. Heathrow Country Estates is located miles away from hectic everyday life, yet only 15 minutes from interstate access, first-rate schools, fabulous dining options and several retail centers. Heathrow Country Estates is more than just a community development it is a Lifestyle of Pure Luxury. Call Shawan Pettigrew at (352) 478-4300 to learn more about Red Tail Golf and the homes and real estate that are for sale.